A guide to cottages in and near the Cotswolds. 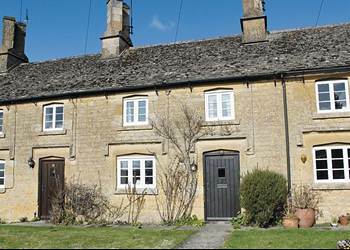 Cottages make an ideal base for anyone wishing to explore the Cotswolds, one of England's most beautiful areas with its rolling hills, green valleys and charming villages. Here are a few hand picked cottages. With pleasing views of the Cotswold Hills from its elevated position, this charming, refurbished, mid-terraced holiday cottage is neatly tucked away up a steep driveway, just a few yards from the winding lanes and tiny streets of this lovely Cotswold village. Many of the cottages are built in warm, mellow Cotswold stone and many have impressive thatched roofs. Rosamund Cottage dates back to the 1790s and has a beamed sitting room leading to a bright, airy, modern Shaker-style dining kitchen. Many fantastic walks are on offer and Chipping Campden is just 10 minutes’ drive away with a selection of wonderful pubs. 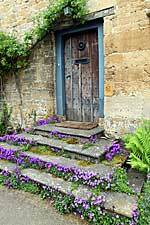 NT Hidcote Manor is 4 miles, Moreton-in-Marsh 8 miles and Stratford-upon-Avon is 12 miles. Shop 3 miles, pub serving food 200 yards. 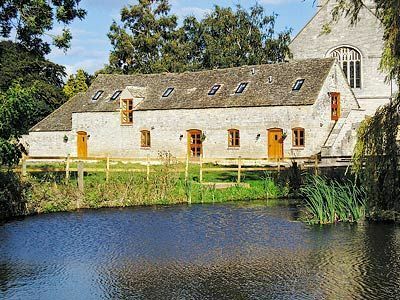 These two holiday cottages are situated on a working dairy farm within the grounds of a medieval priory. 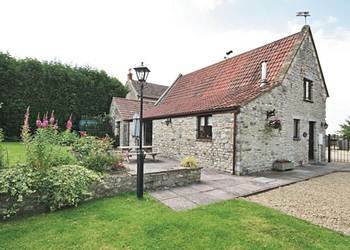 With farm nature trails and walks, these cottages offer a wonderful base from which to explore the cathedral city of Gloucester and Regency Cheltenham, as well as the city of Bristol with art galleries, museums and theatres, and the Georgian city of Bath. Also worth a visit are Westonbirt Arboretum, Berkeley Castle and Slimbridge Wildfowl Trust, all within 15 minutes’ drive. Shops 1 mile, pub 50 yards. Can be booked together with Blossom Cottage to accommodate up to 10 guests. Set on the fringes of the charming town of Chipping Sodbury, these two attractive and well appointed barn conversions enjoy pleasant views and a rural location on a working farm. The myriad attractions of the Cotswolds and Forest of Dean are nearby, Badminton is just 3 miles whilst Bristol and the Roman city of Bath are both only 12 miles. Slimbridge Wildfowl Trust, Westonbirt Arboretum, the beautiful Wye Valley and Durham Park (N.T.) are all easily accessible. Cardiff and Longleat are each around one hour away. Walkers will delight in the proximity of both the Cotswold and Monarch Ways. Golf, tennis and swimming are found locally. Shops and pubs serving food 1 mile. Originally an early 18th-century granary and stables attached to the owner’s farmhouse, also a listed building, surrounding a colourful courtyard (winner of Cheltenham in Bloom 2004 and 2005). These holiday apartments have been converted retaining the original beams and stone walls, providing great character. 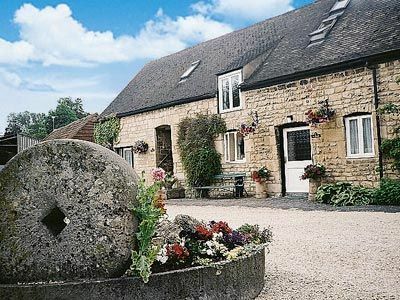 In a backwater of this historic village, they are only a few minutes from Cheltenham Racecourse. No. 7770 is on the first floor and approached by a covered flight of wide stone steps; No. 7554, on the ground floor, is suitable for the disabled. There are pleasant views up to Cleeve Hill, the highest point of the Cotswolds, 1 mile away. Cheltenham, its gardens, theatres and restaurants, is 2 miles, and Stratford, the Wye Valley and Forest of Dean are within easy reach, as are the whole of the Cotswolds. Shops 200 yards, pub 100 yards.